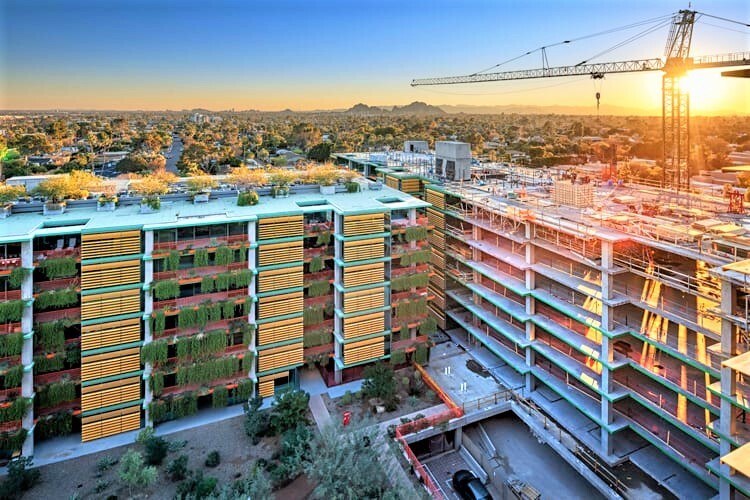 Optima Sonoran Village, a mixed-used residential community in downtown Scottsdale, AZ, has poured its last slab of concrete, topping off its fifth and final tower. The topping off is a major construction milestone for the community, which broke ground on the final phase in January 2018. The development consists of 768 luxury apartment homes and 13,000 square feet of commercial space. Well-known in the market for its award-winning architecture, vertical landscape system, lush courtyards and vibrant façade, Optima Sonoran Village is an innovative approach to urban residential design. First move-ins at the final tower are anticipated for May 2019. 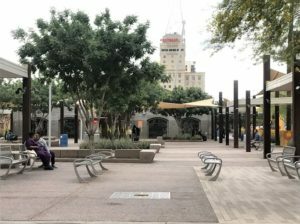 Located at the corner of 68th and Camelback in the heart of downtown Scottsdale, Optima Sonoran Village is surrounded by upscale shopping and dining destinations in Old Town and Scottsdale Fashion Square. On-site retail includes a Kaleidoscope Juice, Blurred Lines Barber Shop, a custom tailor and Pilates studio.